This is part of uOpen’s ‘Meet The Maker’ interview series - your exclusive opportunity to get to know the real people and personalities behind the subscription boxes you know and love, and the ones you will soon come to! Discover the fascinating stories behind how your favourite subscriptions originally came to be, the marvellous people involved in lovingly creating and curating each box, plus a few ‘behind the scenes’ snaps. What sparked your decision to start up your box and how did you get started? 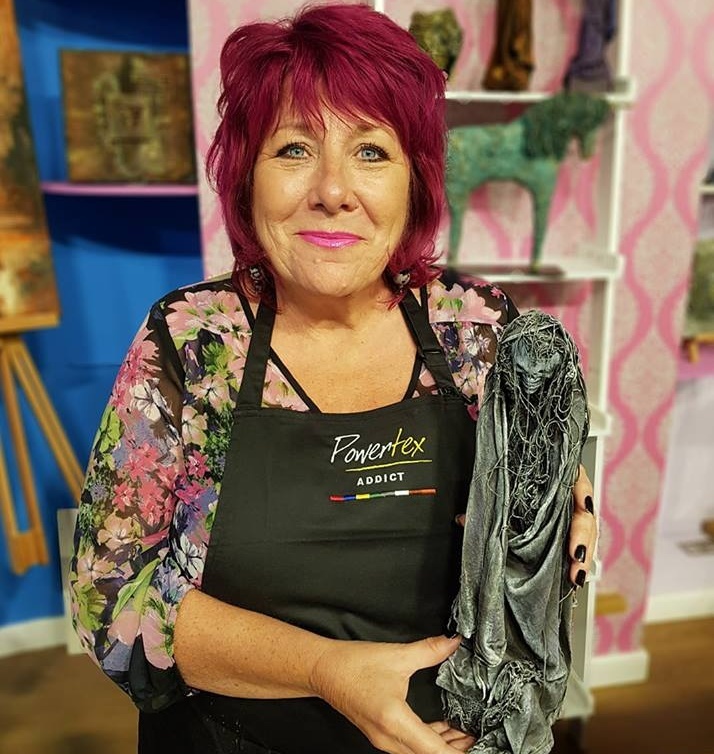 Our existing Powertex customers requested a subscription box, so we responded to this request with the launch of our monthly 'The Secret Art Box'. Describe your box in three words? Where did your box name come from? So, my beautiful woodland studio is called The Secret Art Loft. It seemed like the perfect and natural name to call our box when Operations Manager, Claire Ivins, suggested we call it 'The Secret Art Box'. Are you a creator or curator? A creator - as an artist, I am constantly creating content and new ideas to inspire our customers. What was your most popular box? This is both impossible to answer and easy - 'all of them' would be the only answer possible - our January box has been the only one released so far! How many people are involved with producing your subscription box? The subscription box team is made up of five key members - its theme and contents are a closely guarded secret every month. Which subscription boxes do you subscribe to? None, I haven't looked at any others though my team are all excited to look through the others on uOpen and are considering which ones to subscribe to first. I know Mud & Bloom box is particularly appealing to one of our team. Name a celebrity subscriber you’d love to have as a customer? Laurence Llewelyn-Bowen - this is my favourite question, and Lawrence has always been my first choice, we think, actually we know, he would do INCREDIBLE things with Powertex! If you could put anything in your box, with money or scarcity no object, what would it be? A ticket to our exclusive annual Garden Party. The numbers are strictly limited on this, but it is such a wonderful event and we would love to invite all our customers. What do you love about uOpen? The huge range and diversity of boxes on offer. Create impressive pieces of Powertex artwork with a completely unique monthly box. The Secret Art Box is perfect for artists and crafters of all levels! Why Start A Subscription Box Business? A unique monthly box for creating amazing indoor and outdoor Powertex artwork. Once thought to be a lifestyle perk of the rich and famous, the beauty industry has been undergoing a reboot over the past few decades. With many affordable alternatives now readily available on the high street, the industry is finally as accessible as it is successful - and free to be enjoyed by all, paychecks aside! The Pasta Evangelists Vegetarian Box is a fabulous one-off delivery of authentic, fresh Italian pasta. Each box includes all the ingredients to create two servings of a decadent, vegetarian pasta dish - the current month’s chef's selection recipe! This week, our brand marketing manager and foodie, Lisa, reviews this tasty box for us.